Do you have enough safe drinking water for 30 days or more? 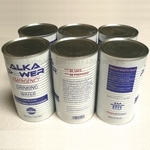 Alka Power Purified Canned Emergency Drinking Water with a 30 year shelf life has become the new disaster preparedness choice for governmental agencies, hospitals, public institutions as well as families and businesses. This is the type of water you buy once and never worry about again. 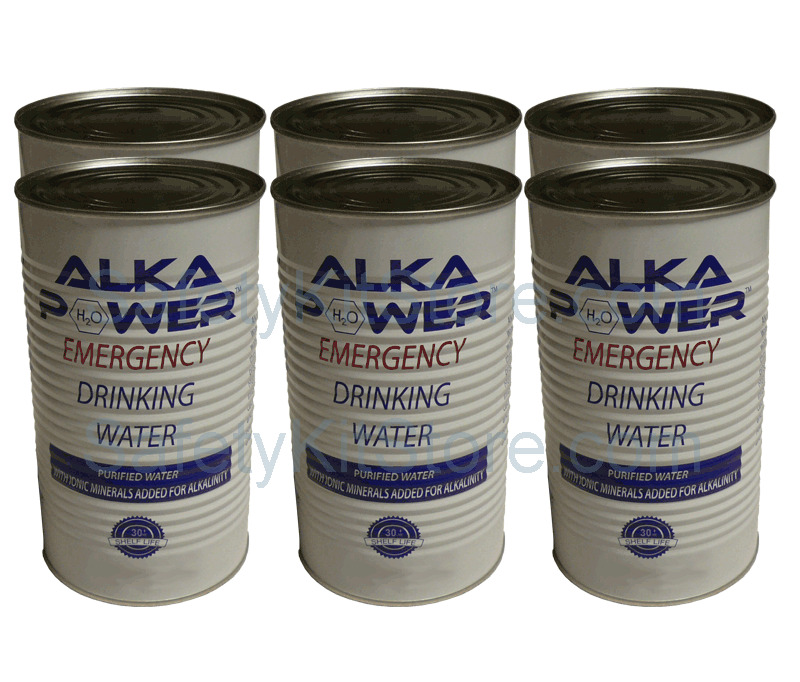 Manufactured by Alka Power under using an enhanced processing method for canning water, these cans are made for long term storage. Each can of water has been processed using the same initial stringent specifications approved by the food manufacturing industry including the U.S. Military yet more steps have been added for product quality improvement. 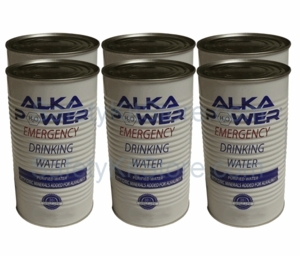 Added processing steps eliminate any bacteria inside the cans for long shelf life. Government Buyers can find more information here or please contact us here for a customized price quote.